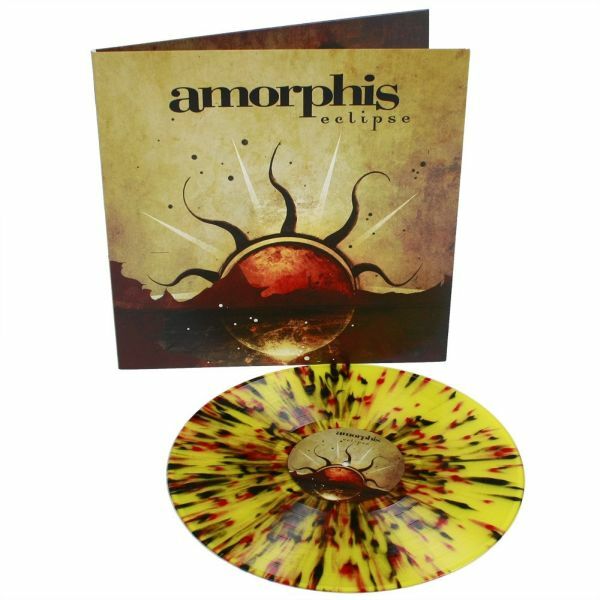 AMORPHIS - ECLIPSE YELLOW/BLACK/RED SPLATTER VINYL (LP) | Online Shop | Wizard LTD. Album: "ECLIPSE YELLOW/BLACK/RED SPLATTER VINYL (LP)"
"Eclipse" is the seventh studio album by Finnish heavy metal band AMORPHIS released in 2006. In February 2008, the record was certified gold in Finland, having sold over 15,000 units. Now this progressive metal masterpiece has been made available on limited edition splatter vinyl courtesy of Back On Black Records.